At Mount Laurel Animal Hospital, you can expect excellent care delivered with compassion. We strive to put your pet at the center of everything we do, while maintaining consistent communication with our clients and referring veterinarians. The Mount Laurel Animal Hospital surgical team is committed to providing the highest level of orthopedic, soft tissue (abdominal and thoracic), oncologic, and neurologic surgery. Our experienced staff provides comfort and helps to ease the stress of your pet during its surgical procedure and hospitalization. The Mount Laurel Animal Hospital surgery service provides appointments Monday through Friday with one of our surgical team members with advanced surgical training. Dr. Caroline Garzotto (board certified), Dr. Jessica Kinsey (board certified) or Dr. Zeev Schwartz will evaluate your pet and discuss the most appropriate diagnostics and treatment options available. With their advanced training, and ability to work closely with on-site specialists in internal medicine, oncology, critical care, ophthalmology, radiology and cardiology they offer expertise that ensures the best possible outcome for you and your pet. 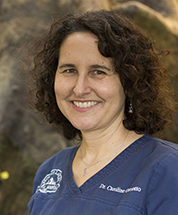 We have advanced on-site equipment, including digital radiography, ultrasound, and computed tomography (CT), allowing us to form an optimal surgical plan.